Choreographed by Andrei Oșanu; Style: Bachata; Music: Gura ta by Delia ft. Deepcentral; Please RATE, SHARE and SUBSCRIBE! Thanks for watching! 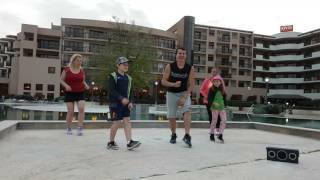 Choreographed by Andrei Oșanu rnStyle: EtnornMusic: La nunta asta by Lia Taburcean rnPlease SHARE and SUBSCRIBE for more choreos!